rtzhjgg0 hasn't added any friends yet. I just addapted to PLi a VFD-skin that I wrote for ViX and VTi. The package contains one Renderer, one Converter the skin_user.xml and some icons. No existing file will be modified. #356160 Way to remove plugin from the menu? 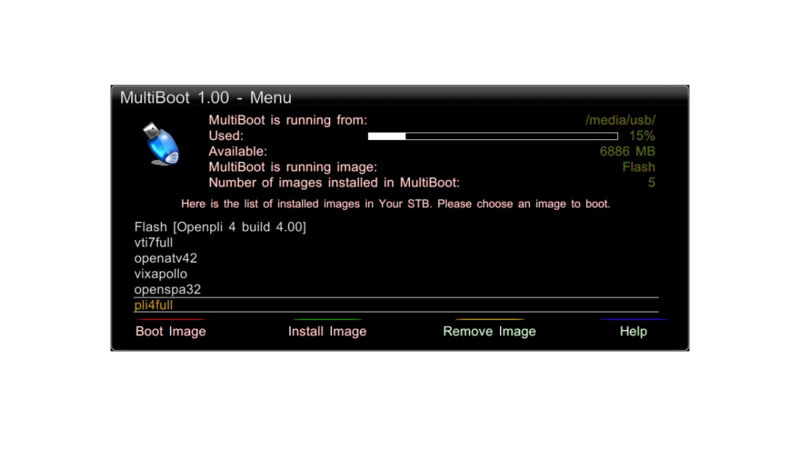 It's not a multiboot - just flashing over GUI. 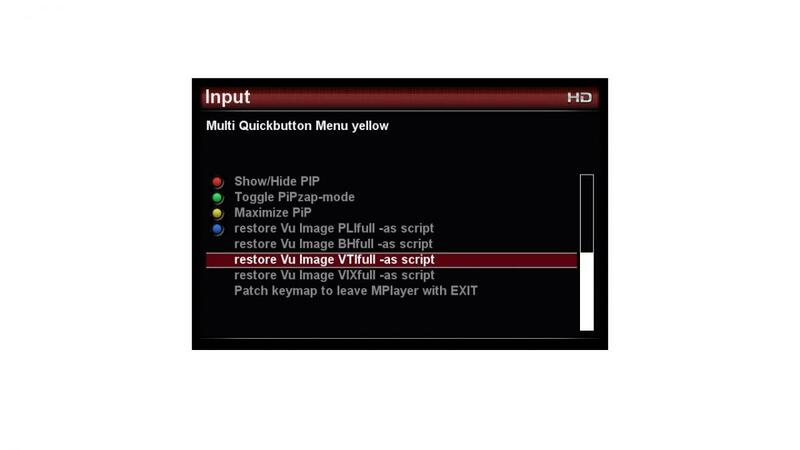 The Vu images that I use are PLi, VTi, ViX and BH. But actually you can switch from one to the other only manually over USB stick and PC. But I'm too lazy for that so I created my own method which allows me to flash over GUI using MQB. I have 4 image backups on '/media/hdd/vuBackupsJ/IMAGENAME/' as 'vuplus' folders. The 4 functions that starts flashing are in the YELLOW button of MQB. When you start one of this functions, the script receives a similar command: '/media/hdd/jscripts/_restore.sh /media/hdd/vuBackupsJ/VTIfull'. Then the selected image will be immediately flashed - just turn the box on again over remote control (without leaving your sofa ). This method runs on my Solo2 since a couple of days fast and without any problems. All backup images have now on their YELLOW button the option to change flash over GUI. To create image backups on HDD I use in all images Pedro_Newbies plugin 'BackupSuite'. #304249 Does exist some plugin for e-mail notification ? The package contains 5 scrolling renderers, skin_user.xml and a thin font. No existing file will be modified. #279081 OpenPLi 3.0: new alpha experimental images! #262096 Audio PIP not working anymore. Your hint solved the problem. It works!! Thanks to Gutemine for allowing to modify the file! Thanks pietereg for the hint! #234379 Audio PIP not working anymore. #228901 Nieuwe E2 license, gevolgen voor PLi? - Android is waarschijnlijk niet bedoeld om tuners mee aan te sturen. Je facebook pagina bijwerken wordt waarschijnlijk minder werk dan even van zender wisselen.